Accidents happen. 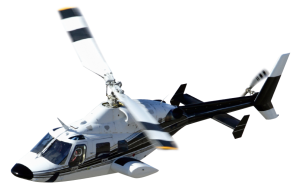 If the accident involves an aircraft and an investigation is needed, trust the experienced team of engineering professionals at Professional Analysis and Consulting, Inc., to provide an expert aviation accident reconstruction witness. Investigations involve the intricate workings of an aircraft engine and its ancillary parts. An aviation accident reconstruction witness can analyze the inspection of the wreckage and detailed examination of components that could possibly have had a role in what went wrong. Call 630-466-4040 and learn how an aviation expert witness can help analyze and make determinations from accidents involving a wide range of types and sizes of aircraft. At Professional Analysis and Consulting, Inc., our investigation and analysis experts combine the use of site documentation and inspections of the aircraft, its engines, engine accessories and propellers. Additionally, our trained and experience professionals also have extensive expertise in ground accidents and essential airport terminal safety. Our on-site laboratory supports aviation evidence testing and analysis investigations. The state-of-the-art facility at Professional Analysis and Consulting is fully staffed and stocked with all the necessary equipment our team needs to make accurate testing and determinations. Our property is fully video-monitored to ensure the most secure possible evidence management and storage. Call 630-466-4040 and learn how an aviation accident reconstruction witness can help analyze and make determinations involving accidents from a wide range of types and sizes of aircraft. Or simply fill out the form to the right and one of our experts will respond promptly to your inquiry.